Borge's 1967 appearance on The Man From U.N.C.L.E. was his last as an actor though he did play himself in Martin Scorsese's The King of Comedy in 1983. 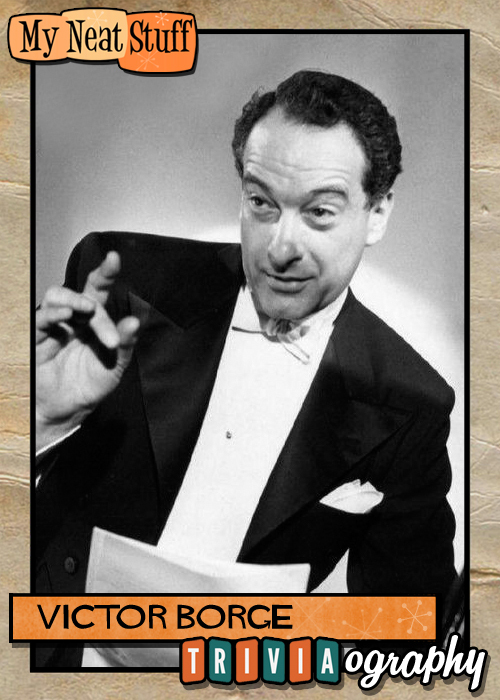 Victor Borge was anentertainer, pianist, composer, songwriter, and actor, educated at Borgerdydskolen and the Conservatory of Copenhagen. He studied with Egon Petri and Frederic Lammond. His concert career began in 1922, and he performed in a musical revue in 1934, and in films by 1937. Borge publicly derided Adolf Hitler in his native Denmark just before World War II. When the Germans invaded that country, he managed to escape to America because, since he was married to an American women, he got an American visa. Arriving in the US in 1940, he made his American radio debut on the Bing Crosby show. In 1953, he starred in the one-man Broadway production "Comedy in Music", with which he toured off and on until his retirement. On Broadway the show set a record, reaching 849 performances, the longest solo run in Broadway history. In the show Borge often announced he was going to play a piece, but seldom actually got around to doing it because of his hilarious comments to the audience. One of his famous skits involves "phonetic punctuation", in which he accents commas, question marks and periods with sound effects. 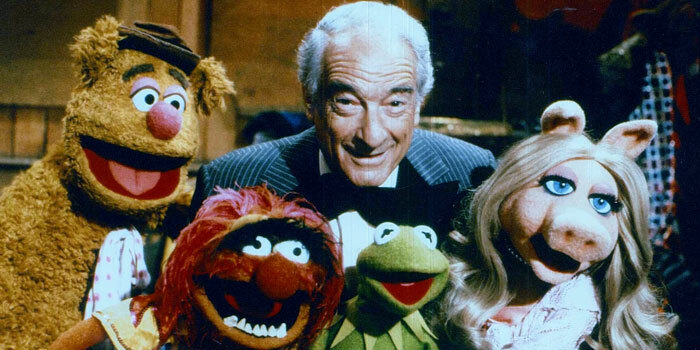 Guest starred on The Muppet Show: Season 4, Episode 5 (Nov. 9th 1979). Rowlf and Victor play Liszt's "Hungarian Rhapsody No. 2" as a duet while trading classical music jokes. Victor is impressed with Rowlf's piano-playing and wonders how his violin is. Rowlf says he sometimes fiddles around. Fozzie enters Victor's dressing room and makes a raucous, despite Victor's request to stay quiet. He agrees to let Fozzie stay while he plays Beethoven's "Moonlight Sonata", but insists that it will bore him. Indeed, the piece makes the two fall asleep, including the Bust of Beethoven who is perched nearby. On stage, Bobby and the babies accompany Victor in a performance of Tchaikovsky's "Piano Concerto No. 1". The orchestra is comprised of tiny instruments, a kazoo, a slide whistle, and a toy piano. Excerpts from Twelve Variations on "Ah vous dirai-je, Maman", the "Colonel Bogey March", and "Pop Goes the Weasel" are included. Borge was the recipient of 22nd Annual Kennedy Center Honors for lifetime contribution to arts and culture, presented by President Bill Clinton in Washington, DC, Dec. 5th, 1999. Borge died in Greenwich, Connecticut, at the age of 91, after more than 75 years of entertaining. He died peacefully in his sleep a day after returning from a concert in Denmark.